This is the last bow left in stock with this pattern. It has 3 layers of ribbon. 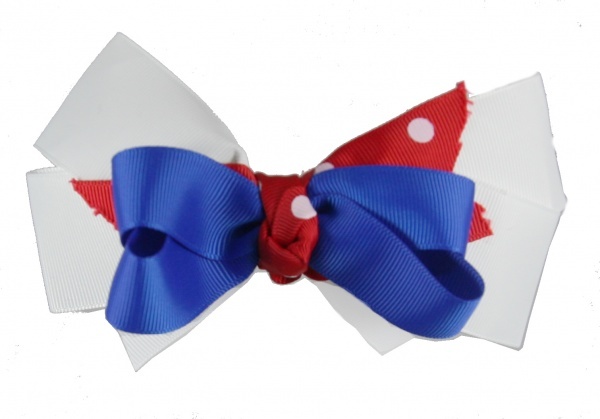 The bottom bow is a large white base bow, topped by a red with white polka dot flares, and then a blue smaller ribbon tops it off. The center is tied with the same red polka dot grosgrain ribbon as the flare into a French knot. It is attached to a French clip 2 and 1/4 inches long.